UFO SIGHTINGS DAILY: Jellyfish UFOs over Corbin, Kentucky On Oct 24, 2015, Photos, UFO Sighting News. 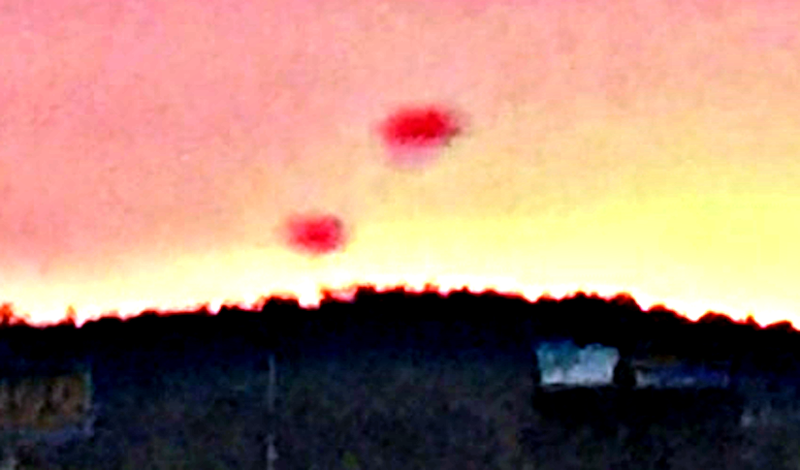 Jellyfish UFOs over Corbin, Kentucky On Oct 24, 2015, Photos, UFO Sighting News. 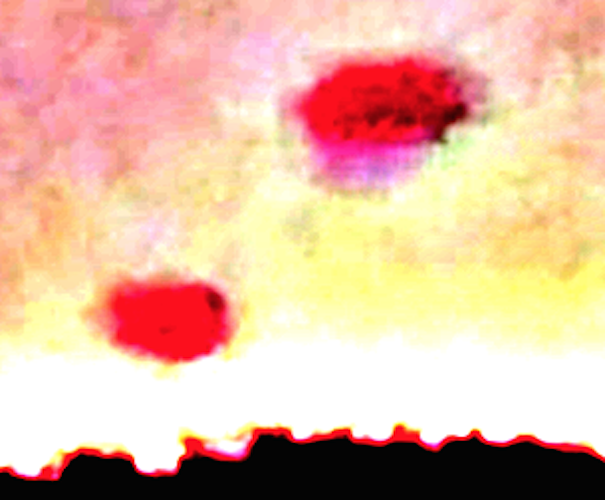 Guys, when I added some contrast and sharpening to the photos, you could clearly make out the long tentacles coming down from one of the cloud cloaked UFOs. These are jellyfish UFOs and are a bit rare to see. 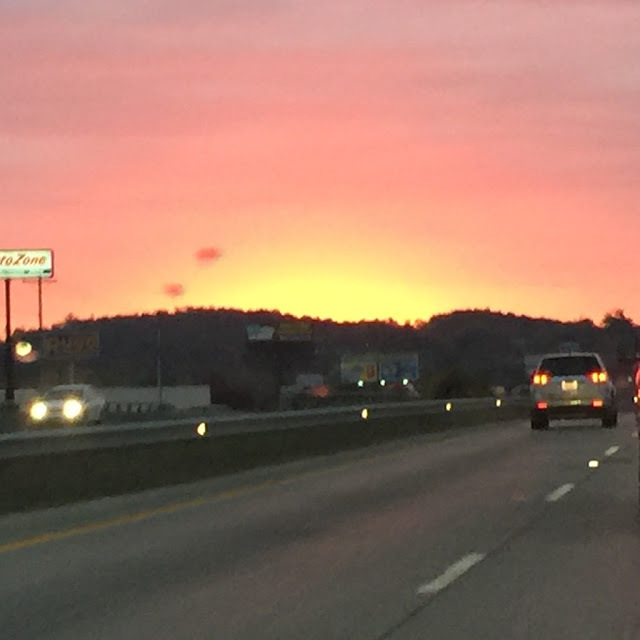 My wife was coming home from work on 25W in south Corbin,Ky. As she drove she took about 5 pics of the sunrise. When she arrived at home we looked at her pics of the sunrise. I noticed the object in about the 4th pic. She snapped these pics with her cell phone about every 20 to 30 seconds. The object was not in any of the previous or following pics. It must have been moving very fast. At first the objects looked like puffs of smoke but I noticed that they have structure and Windows. It looks as if the objects have a fuzzy shroud around their exterior. At no time was my wife ever aware of these objects. I thought it was really good UFO pic and I've looked at a ton of UFO pics. Thank you for this submission.